Although polysaccharide intercellular adhesin (PIA) is thought to be crucial in the pathogenesis of prosthetic device infections caused by Staphylococcus epidermidis, its role in prosthetic device infections caused by Staphylococcus aureus is unknown. 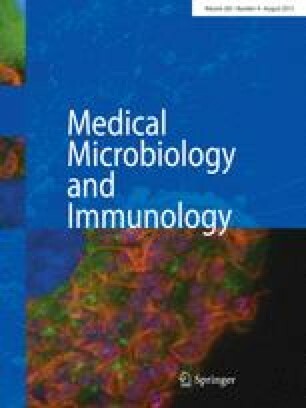 To assess the clinical impact of PIA production, isolates from 15 prospectively identified cases of S. aureus bacteremia in patients with prosthetic joints (8 infected, 7 uninfected) were characterized for biofilm production, hemagglutination, and the presence of a 419-bp amplification product within icaA. Although icaA was present in all 15 isolates, none of the isolates produced hemagglutination and only one isolate (from a patient with an uninfected prosthetic device) weakly produced biofilm in vitro. These results support the observation that the ica locus is conserved between S. epidermidis and S. aureus and that PIA may be expressed only under in vivo conditions. Future investigations should include animal models to approximate the complex milieu surrounding implanted prosthetic medical devices.